Review Context: I don’t have much experience in this stunt-racing genre. The games that are probably the closest to this that I’ve played are Trials Fusion (a tiny bit) and the grinding in Tony Hawk’s Pro Skater 2. 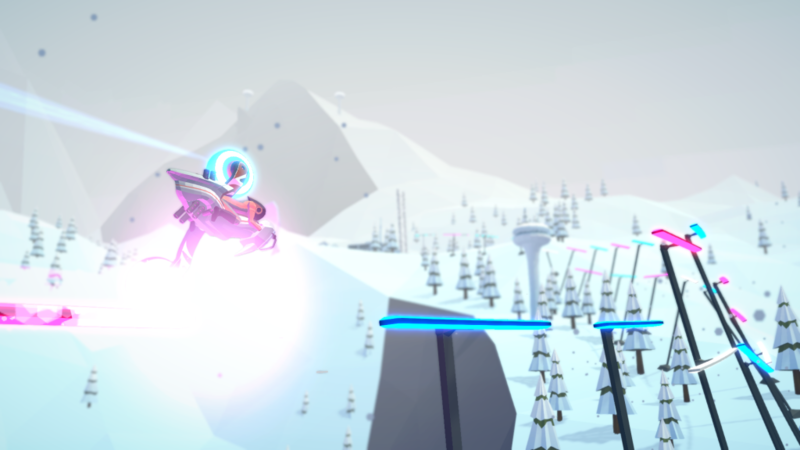 FutureGrind, developed by Milkbag Games, is a futuristic stunt-racing game that intrigued me to play it due to the clear-cut presentation of the fast grinding gameplay on rails with tricks involved. You start the game with one futuristic bike unlocked assigned by a sponsor to test on a track. The most basic element of the gameplay is trying to match your futuristic bike wheel colors with the proper rail color. This is only the most basic premise, as there are many nuances to the game that add complexity to the experience. 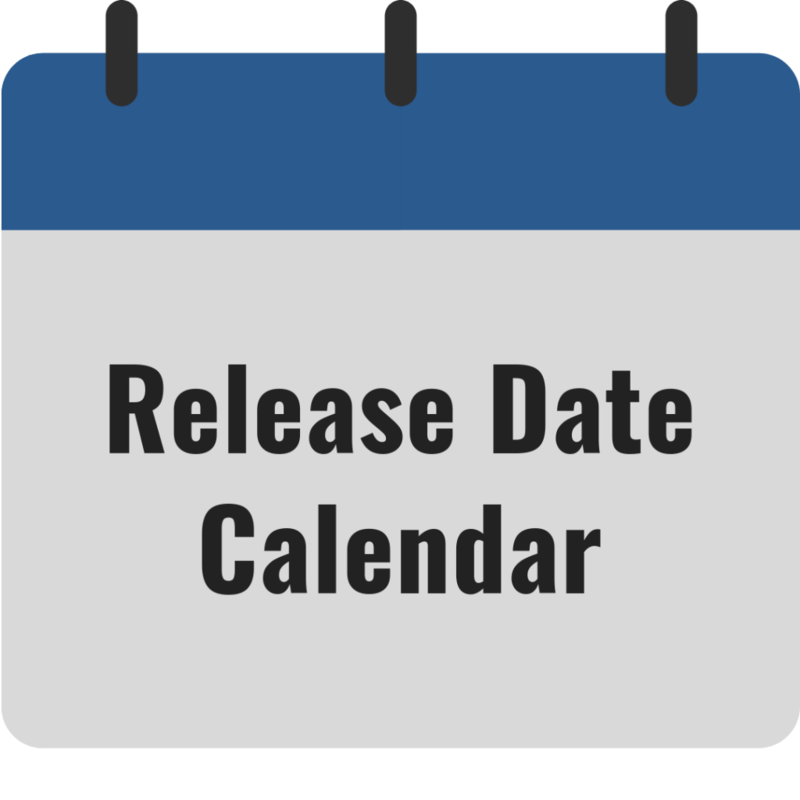 The campaign of FutureGrind is represented by a list of levels that get added over time once you complete assignments. The presentation of the menu is fairly straightforward and easy to follow. The first assignment you have to do is just “Survive the Track.” This just means completing the course without dying from beginning to end, with no stipulations. After you beat the track you will see assignments listed below that will want you to do specific tasks, which can be something like “Don’t touch a white rail,” or completing certain tricks like a 720 backflip, as well as many others. You will also notice in between the assignments and basic “Survive the Track” assignment a leaderboard, which totals up your score for each run and you can see your global rank, as well as comparing with your scores with your friends list. Much of the replay value in FutureGrind is increasing your scores by doing tricks like frontflips, backflips, undergrinds, hanggrinds, and/or keeping your score multiplier up. 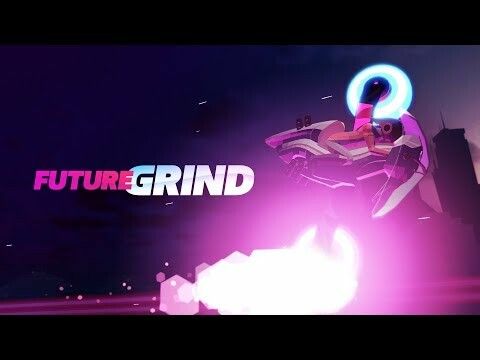 As someone who is not really into the Trials Fusion simulation type of games, I found FutureGrind to be really accessible. During the course of your playthrough you will die many times, but the game has instant restarts, so you don’t ever have to be worried about loading. Although constantly crashing to your death can be annoying, the game does give you an addicting sense of wanting to complete each track. The five different bikes you will play with have different qualities and controls. For example, one of the bikes has a small wheel and a big wheel, giving the bike a much different feel and pivot control when alternating between wheels. Another bike later in the game has really tighter controls and a triple-jump, compared to the default double-jump every bike can do. One of the major positives of FutureGrind is the controls. A game like this lives or dies due to the controls, and I was so amazed by how well calibrated the controls were with the Playstation 4 controller. Every analog movement felt precise to what I wanted to do, causing me to never feel like the controls were the cause of my deaths. As you grind on the many different colored rails presented in front of you, you will find a flow in the controls. For some of the levels, you will be experimenting with different routes, as some courses have lower levels,and can change the way you experience that particular level. As you learn the different tricks you will want to try the many different grind techniques, as the levels don’t necessarily have a straightforward route, meaning some tracks have rails above and below, so you choose the direction you travel. When you receive assignments with special stipulations you will most likely experiment through bunches of deaths to figure out the best way forward to the end of the track. FutureGrind is fun in the levels, but I do feel the execution of how you go through the various levels and assignments is a bit frustrating. In the game you aren’t allowed to advance to the next level unless you complete a certain number of assignments across the levels. Strangely, the game almost requires you to be near 100% completion during your entire playthrough, as few assignments are allowed to be left undone to advance. This is a big mistake not allowing the player to advance to the next level after simply surviving the track. The other debatable issue within the game is forcing every player to essentially play every track three times; survive the track followed by two assignments. I definitely see the perspective that forcing a player to play a different way can easily change the experience of a level, so it can be argued to be separate. However, the game does not have leaderboards for the assignment levels, a peculiar decision in the grand context of the game itself. This issue came to head because for a few of the levels I initially completed (survived), I received assignments that I pretty much did during my first run, causing the assignments to feel like a waste of time. 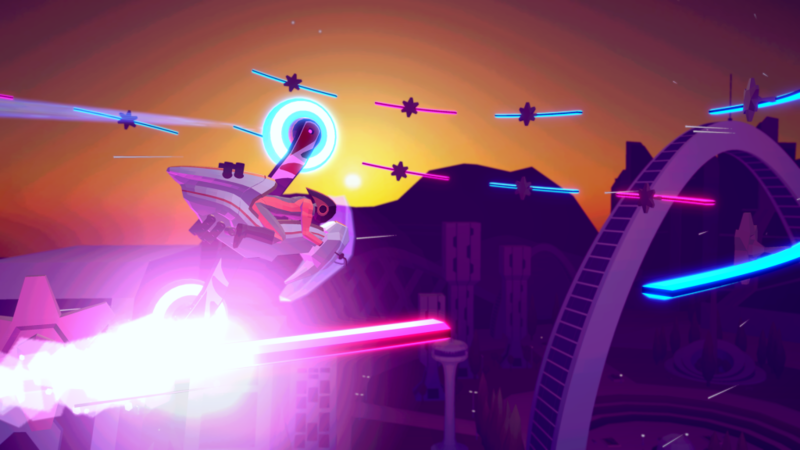 Although the gameplay and controls dominate the heart of FutureGrind, the soundtrack is also very easy to listen to while you constantly crash due to the many different kinds of obstacles that you need to get past. I do attribute the soundtrack to being a small reason why I always kept pushing through a level because it always kept my blood pumping. In a game full of colored rails, I don’t want to neglect to mention that the game does have a colorblind mode, a smart decision by the developers. The game also has some other options to adjust the controls to your liking to make it a bit easier. FutureGrind is a stunt-racing game that presents itself in such a way that is easily accessible for anyone to understand and grasp. The controls are fair, tight, but difficult to master. Gamers that enjoy score attack games will absolutely love this game. Although the game could use some improvements in presentation, the game is fun, if not better than I expected it to be as someone not really attached to this stunt-racing genre.